The Greatness of South Africa can be found alongside every road. And with the right gear, you can take on every epic ride and legendary location with pride. 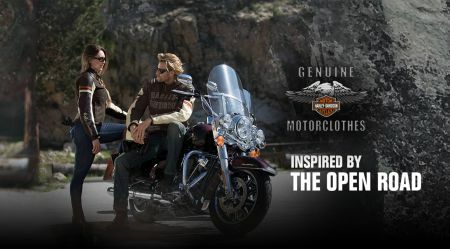 Mount up and see if for yourself in the Genuine Motorclothes® Collection. The official gear of the open road. Nothing makes Riding more comfortable than a great pair of gloves. H-D® have a variety of gloves to choose from, finding the right pair of gloves is as easy as twisting the throttle. Perfect for moderate weather. Perforations increase seasonal use. Full-finger cover up to the wrist for added protection from the elements. Versatile for all seasonal riding. Step into a Legend when you wear Genuine H-D® Footwear. Whether you commute to work or ride where the road takes you, functional extreme Footwear is innovative gear that integrates the best technologies and materials the industry has to offer to deliver protection and comfort for all-season riding. SHOP ONLINE OR VISIT US IN-STORE TODAY TO SEE THE LATEST RANGE.